BOGATYR & PARTNERS represented both corporate clients and individuals in a wide variety of matters, including fraud claims, white collar matters, challenging sanctions, assets tracing, post M&A disputes, partnership and joint venture disputes and have also provided advice on contractual and insolvency matters as well as issues relating to the enforcement and recognition of judgments in Ukraine and abroad. During this year the firm successfully challenged Interpol Red notices aimed at its international clients and has assisted in the granting of foreign refugee status. The firm has also obtained court orders against extradition from Cyprus and the UK. 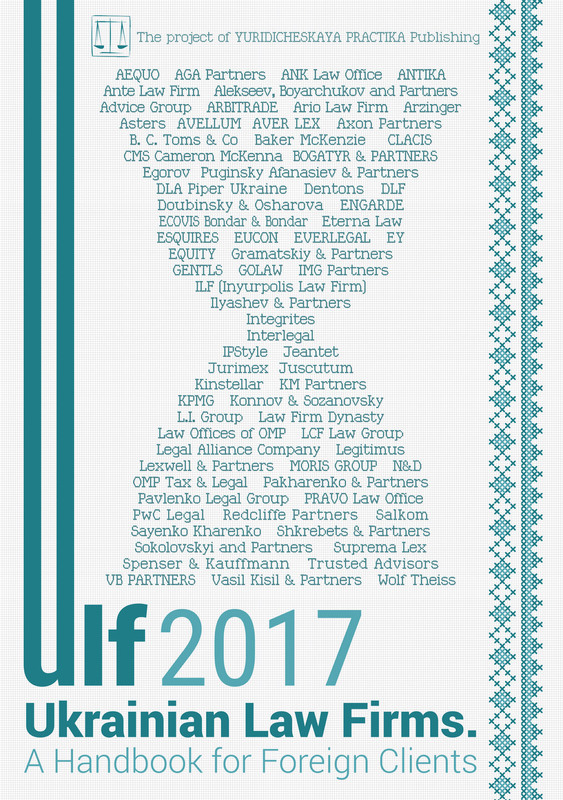 BOGATYR & PARTNERS are also very actively involved in the process of developing arbitration and intellectual property law in Ukraine and had experience in cross-border disputes. The firm also cooperated closely with a range of legal advisors and investigators from the United States, the United Kingdom, Cyprus, Switzerland, France, Austria, Lichtenstein and other jurisdictions. Moreover, BOGATYR & PARTNERS have created a precedent of recognition and enforcement of judgments by the High Court of Justice in Ukraine. Besides, the firm also had experience of supporting clients facing international criminal charges. The legal team of BOGATYR & PARTNERS supports clients in international court cases in countries such as the United Kingdom, Cyprus, Switzerland, Liechtenstein and others in order to protect their interests. We have also succeeded in acquiring refugee status for our clients in a number of different jurisdictions and have represented clients in institutions such as Interpol and the European Court of Human Rights. First of all, we would also like to mention the unique opportunity we have encountered in our practice regarding the United States. In 2016, we acquired an order from the United States Southern District Court of New York granting discovery under 28 U.S.C. section 1782, “Assistance to foreign and international tribunals and to litigants before such tribunals”. This is a federal statute that allows a party to a legal proceeding outside the United States to apply to an American court to obtain evidence for use in a non-US proceeding. This opportunity should be also considered when dealing with international litigation. We would like to draw the attention of our foreign colleagues to the practice of use of the Convention on the Recognition and Enforcement of Foreign Arbitral Awards (New York Convention) in Ukraine. (7) the arbitration award did not come into force or was annulled or its execution was suspended by the court of the country under which the laws of the arbitration award were rendered. Similarly, the arbitration award may be unenforceable in Ukraine if a Ukrainian court determines that either the object of the dispute cannot be subject to arbitration under Ukrainian legislation or that the recognition and enforcement of such arbitral award contradicts public policy. Thus, if court proceedings in Ukraine are not the case in a dispute between the same parties on the same subject and on the same grounds, the presentation of a foreign court for recognition in Ukraine is not satisfied, the application for cancellation of the award matter of the dispute by the laws of Ukraine shall be subject to judicial review, and the recognition of the said decision does not threaten the interests of Ukraine, then a foreign judgment may be enforced in the territory of Ukraine on the principle of reciprocity (ad hoc). We have also acquired data for Criminal Cases in 2016. Talking of international litigation, we have to take Interpol into account, since our recent practice shows that the number of Ukrainian citizens being subjected to Interpol Notices has increased. It’s important to keep in mind that quite often in the process of international litigation, especially in cases where Governments are involved, one might find that an Interpol Notice was issued of by the National Central Bureau (NCB) one’s own country. Interpol notices are international requests for cooperation or alerts allowing police in member countries to share critical crime-related information. There are several types of notices: Red, Blue, Green and others. In the case of Red Notices, the persons concerned are wanted by national jurisdictions for prosecution or to serve a sentence based on an arrest warrant or court decision. Interpol’s role is to assist the national police forces in identifying and locating these persons with a view to their arrest and extradition or a similar lawful action. If we look at this issue from one’s point of view, this would de facto mean that you will find it almost impossible to travel between the borders of different countries. You might be subject to arrest following extradition to the country which has requested for the Red Notice to be released. In most cases, we offer our clients a procedure consisting of a number of stages. After receiving the required documents and having signed the Engagement Letter we move on to draft a letter requesting access to files related to our client that are stored in Interpol’s files, addressed to the Commission for the Control of Interpol Files, residing in Lyon, France. At the same time, we write a request to the Interpol NCB of the country which presumably issued the diffusion letter, in order to clarify the details. Thus, we act at both International and National levels. When writing requests addressed to the Commission for the Control of Interpol Files a strict procedure has to be followed for the request to be admissible. It is very advisable that you study Interpol’s Constitution and other documents regulating its activity in order for your request to be successful, as it’s no great surprise that you have to appeal with direct reference to these documents. It is important to keep in mind that the process of communicating with Interpol is a long-term one. The timeframe for a response to a request for access to data consists of four months from the date on which the request was declared admissible, while for a request regarding correction and/or deletion of data it is within nine months from the date on which the request was declared admissible. After we have received an answer from the Commission as to whether our client is subject to a Red Notice, we move on to the next stage. If our client is subject to the Red Notice we begin drafting a request for deletion of data related to our client, which is stored in Interpol’s files. This process usually takes time, since we have to collect and be ready to present a number of solid arguments for our case. In case our client is not subject to any notice, but believes that he will be in future, we propose to act in advance, by writing a request to Interpol so as to warn of future requests coming from law-enforcement bodies. By doing this the chances are high that these requests will be stopped for investigation prior to their publication. If the end result is successful, Interpol is obliged to remove any information it has on the person in question and inform all National Central Bureaus of this. It cannot be stressed enough as to how vital it is to study recent cases regarding this issue in order to successfully achieve the desired result when challenging an Interpol Red Notice. The legal team at BOGATYR & PARTNERS has huge experience of protecting clients’ interests on both the national and international level. We cooperate with a range of foreign partners and agencies around the world in order to provide our clients with the full spectrum of solutions. We ensure that we stay up to date in order to provide the most innovative ways in battling crime and protecting the rule of law.